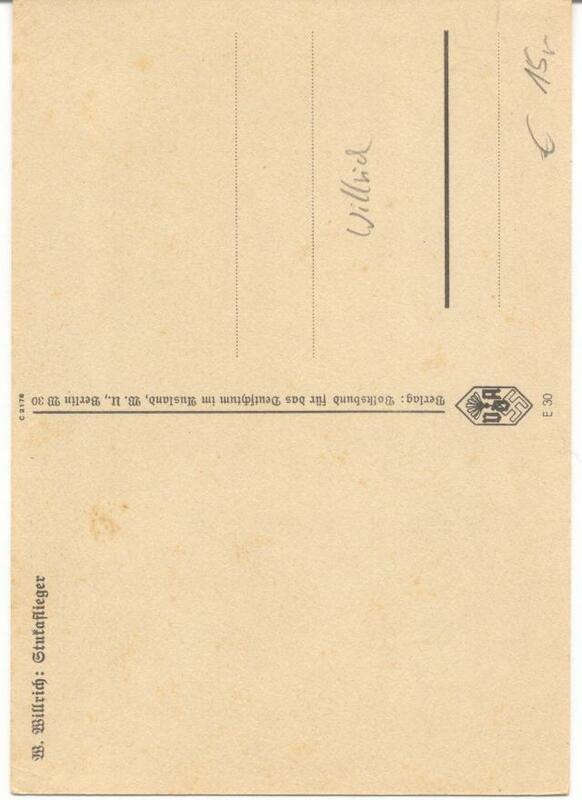 This is a great postcard picturing the work of the prestigious artist Wolfgang Willrich. The original print was done in 1940. 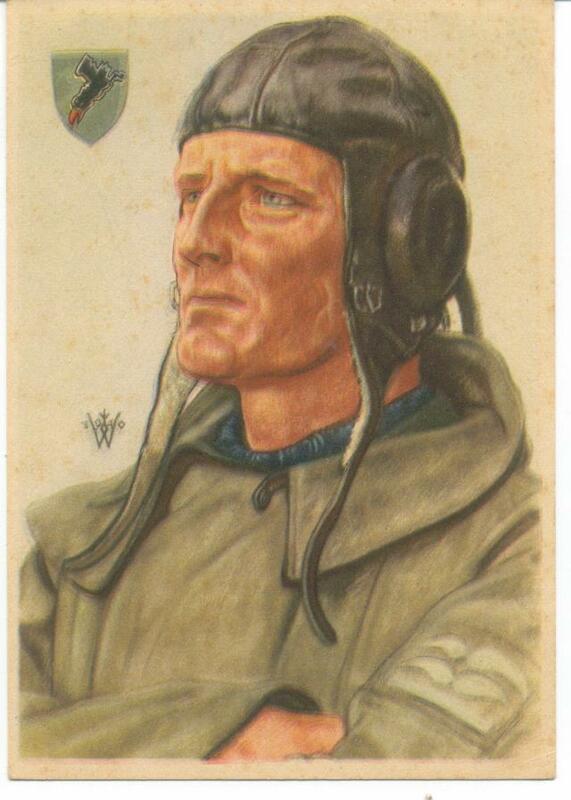 It depicts a Stuka dive bomber flyer and his unit insignia on the front. This card is in great condition. It does show a bit of yellowing (foxing). The previous dealer made a notation on the reverse (seen in scan). I will leave it up to you if you wish to erase it. It does not detract from the overall appearance of the card.